What better place is there to spend a gorgeous summer weekend enjoying simultaneously the urban bustle of Portland’s Pearl District, local food vendors, and all the Pinot you could ask for? Over 100 Willamette Valley wineries will come together to bring you both new and current releases of a variety of wines, Pinot Noir being, of course, most prominently featured. Other attractions include book signings with local authors, meet and greets with winemakers, raffles and other related wine exhibits. 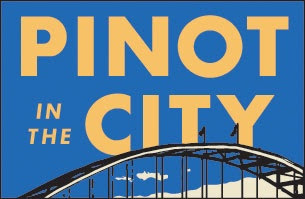 Pinot in the City will take place September 10th and 11th from 2pm – 6pm at NW 9th & Marshall. Tickets are available online in advance of the event and include an event wine glass, a tasting booklet, touring map, unlimited pours from all wineries as well as samplings from local purveyors - $60 for a one-day ticket and $90 for two days of urban-Pinot bliss. The dream of the 90s lives.